Take the Pledge and test your recycling knowledge! Always put the right items in yellow-lidded recycling bins – it’s good for the environment! 1. Actions that I will take (to complete the pledge you need to commit to all the actions): *This question is required. 2. 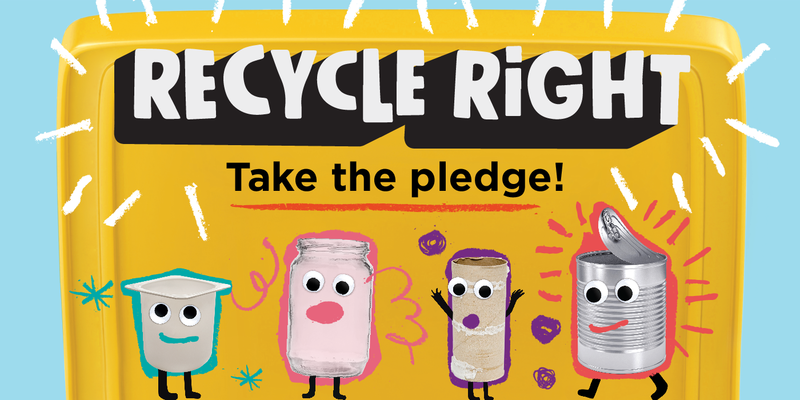 By writing your name you commit to the Recycle Right pledge *This question is required. To help us better understand recycling in Darebin, we'd love it if you answered a few basic questions! 4. What is your postcode? Thank you for taking the Recycle Right Pledge! Now you can test your knowledge by taking the Recycle Right Quiz!